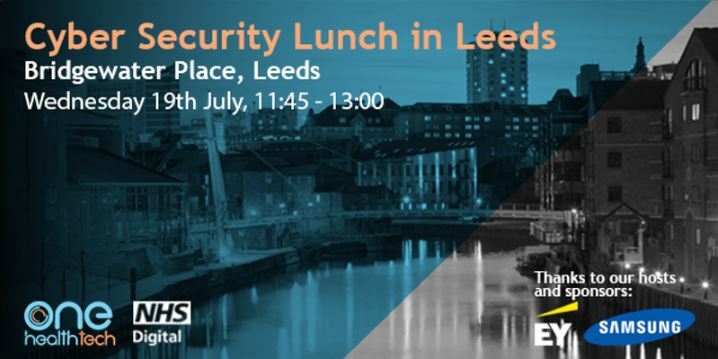 One HealthTech and NHS Digital are partnering up for this informal lunchtime session focusing on cyber security. Learn about implementing a readiness strategy for cyber from an NHS Trust perspective with talks from Jane Berezynskyj, ICT Director at Papworth Hospital during the recent cyber attack, and Eileen Jessop, who will be sharing the work from Leeds Teaching Trust on keeping your information secure when working across teams and departments. We are also delighted to introduce Lea Taylor from the NHS Digital Cyber Team who will provide updates and the latest insights from the centre. This open and interactive session will be co-hosted by Eve Roodhouse, Interim Executive Director for Implementation and Programmes at NHS Digital.